Folder Protect comes a variety of features and ways of password protecting your files. Get maximum data protection protocols to safeguard and protect all your important and personal files, folders, and drives. Lock and Hide feature lets you hide your data from all unwanted access and blocks access to your most important data. Quickly protect and unprotect files, folders and drives, as well as customize folder locking for all your sensitive data. Put a stop to files from getting into your recycle bin With Folder Protect accidental deletion protection. With the Delete-prevention mechanism, you can permit others to view your data while restricting modifications, or copying of that data. 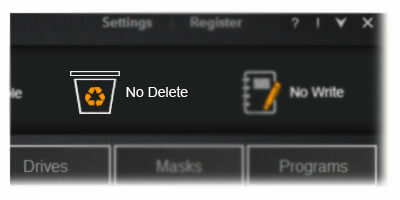 With delete protection, you’ll never have to worry about accidently deleting important documents. Folder Protect maximizes data protection and provides you with a robust mechanism to restrict data modification. Restrict data tampering by allowing you to Write-protect your information and enable full Data-in-Use security across all Windows OS variants. It ensures that no one will be able to make changes to your important files without authorization. Lock Files, Folders & Drives! Folder Protect offers advance Data-in-Use protection by allowing you to password-protect your sensitive files, folders, and drives. 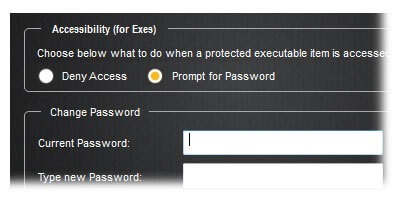 Set unique security levels for each item to trigger specific behavior in the event of any unfavorable incident. Make your private and confidential files, folders, & drives theft-proof, leak-proof, and loss-proof by making your files inaccessible, invisible, and delete-proof. 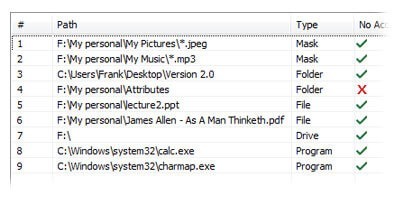 Customize Folder Protect to provide specific data security with a mix of unique access levels for certain files and folders. You can choose to make files inaccessible; accessible but write-protected and / or delete proof; and / or hidden from other users. Protecting and un-protecting files is easy, a simple right-click is all it takes to protect/unprotect it. 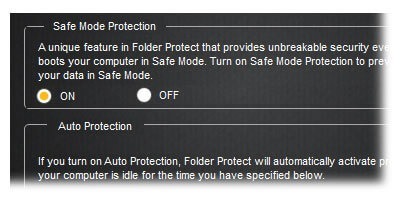 Folder Protect presents a feature not offered in any other file-locking program, setting it a class apart. Folder Protect uses Windows Kernel-level protection for complete windows compatibility which also makes it unbreakable. Better compatibility mean better data security integrity which means data security cannot be compromised and data can be protected even in safe mode.